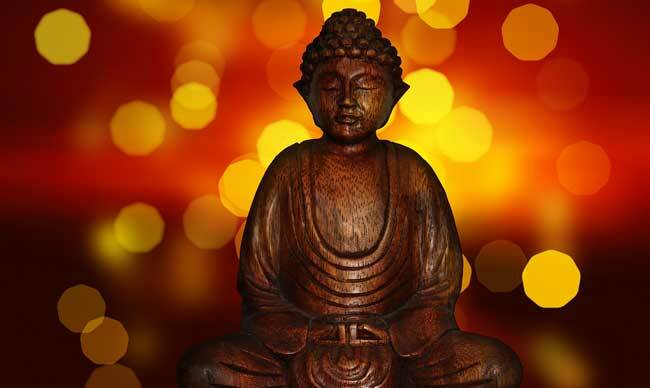 While Buddhist ideology has become a familiar trope in entertainment and popular culture, the idea of reincarnation is anything but a current trend. The Buddhist belief in an afterlife guided by the deeds of mortal existence is both intriguing and enticing as food for thought. Whatever your personal beliefs, there are many common threads that bind the varied interpretations of life beyond death, many of them offering valuable lessons. So what can we learn from Buddhist ideas on reincarnation? Consider what reincarnation means to you; is it an opportunity to live life over? To do better on the second round? Is it a chance to have everything you never got to experience before? For many people, reincarnation is a romantic notion, dispelling the natural fear of death. Yet traditional Buddhism could not be further from this pop culture creation. Reincarnation, much like life, is a struggle for completion. In fact, the ultimate goal is not to find some greener pastures, but to achieve nirvana or, in plainer terms, to cease to exist. Instead of meeting selfish needs, reincarnation provides the opportunity to learn and better contribute to the world. The better you do, the kinder and more charitable your deeds, the faster you move toward the ultimate truth. “What does this have to do with me?” you may be thinking. But in truth, isn’t this what we strive for? To do and be better? To leave the world improved for our children and all the generations that come after? Whether we call it “karma” or being a “good Christian,” the message is essentially the same: be a good person and you will reap the rewards of your goodness. True, death is not something that we seek, but is it not an ultimate goal nonetheless? Who among us would choose to be immortal and watch the life we have built slowly wear down and break? How could we appreciate the beautiful and fleeting moments of our lives if we did not also know of their impermanence? We may not wait for it, but we accept death as a necessary part of life, we learn from it and teach by it. As you reflect on the life of a loved one who has passed or consider your own existence, take comfort in the commonalities that bind us and the lessons we can learn from each other.